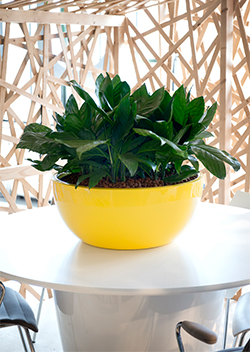 A classically shaped plant pot that is well suited to both interior and exterior planting. 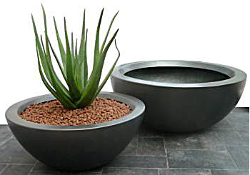 Made from tough glass-reinforced plastic (GRP), these lightweight but tough and long-lasting planters are available in sizes ideal for tabletops or floor standing displays. Colours on offer are any BS4800 or RAL in gloss, metallic and matt finishes.